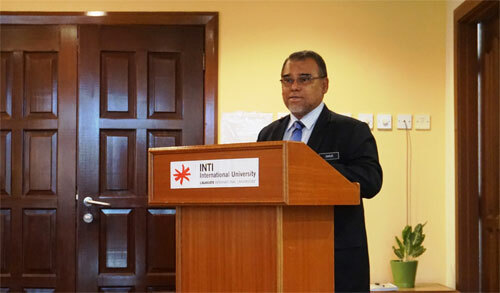 In promoting opportunities for all young Malaysians to grow their skills and qualifications, INTI International University has recently signed a Letter of Intent (LOI) with Politeknik Nilai, a leading Malaysian Polytechnic institution under the auspices of the Department of Polytechnic Education (DPPE), Ministry of Higher Education Malaysia. This agreement marks the start of their partnership which will enable students from Politeknik Nilai to further their studies into a Bachelor’s programme at INTI International University. Upon immediate effect, students studying biotech programmes at Politeknik Nilai will receive credit exemptions when progressing into related degree programmes at INTI. In the coming months this opportunity will also be extended to students studying Business and Engineering programmes, and through the DPPE’s patronage, will automatically enable students from other polytechnics around the country to gain access to INTI’s established programmes. In attendance at the signing ceremony was Tuan Haji Mohd Ghaus Bin Ab Kadir, the Deputy Director General for the DPPE and Lieutenant Colonel Tuan Haji Mohamad Amin bin Hamat, the Director for Politeknik Nilai. A well-recognised and trusted name in the private education sector, INTI is the first institution of private higher learning in Malaysia to collaborate with the DPPE in this endeavour. Its 30 years of educational excellence and exceptional student outcomes positions it well to welcome students of all backgrounds, both locally and internationally. “INTI’s partnership with acclaimed international universities enables these students to gain access to global resources, interact with students from around the world, and learn from our local and international faculty. The international exposure they receive enriches their learning experiences, and empowers them with broader perspectives that will help them stand out among their peers,” shared Professor Dato’ Dr. Rahmah Mohamed, Vice Chancellor of INTI International University. “Joining us opens up tremendous career opportunities for these young Malaysians as we work with more than 400 local and multinational organisations. Leveraging these partnerships, our students work on actual business issues and learn from professionals in the industry while still studying. We are pleased to work alongside Politeknik Nilai and DPPE in establishing new ways to benefit our nation’s future leaders,” concluded Sharma.